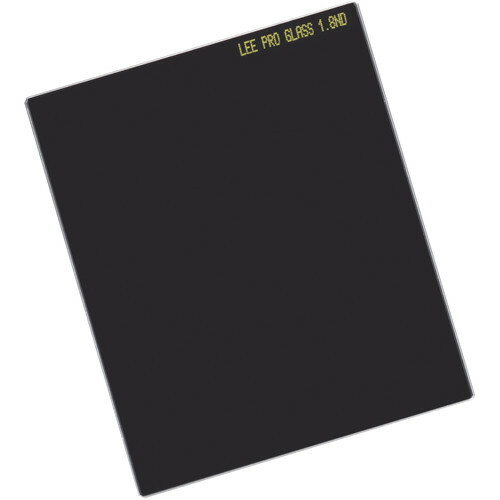 The 75 x 90mm Seven5 ProGlass IRND 1.8 Filter from LEE Filters is an ND filter with a 64x filter factor that provides a 6-stop exposure reduction. Its 1.8 density creates a darkening of the entire image, allowing you to photograph with a wider aperture or slower shutter speed than normally required. By slowing your exposure time or increasing your aperture, you can control depth of field and convey movement more easily. Neutral density filters are intended to not affect the coloration of the image and are ideal for pairing with other filters. The design of this filter has been optimized for use with digital sensors and to promote nearly flat attenuation of visible and infrared light. Due to imaging sensors' greater susceptibility to infrared light, compared to traditional film, color casts can occur when photographing darker subjects that require increased exposure times. This 75 x 90mm Seven5 ProGlass IRND 1.8 Filter is constructed from scratch-resistant, optical glass for clarity as well as color fidelity and features a built-in gasket. This gasket works with a compatible LEE Filters Seven5 Micro System filter holder to help form a seal that is intended to prevent stray light, which could have unwanted effects on exposure, from coming in between the filter and the lens behind it. For efficient use in the field, an exposure guide is included that shows the amount of exposure reduction the 75 x 90mm Seven5 ProGlass IRND 1.8 Filter provides, corresponding to a range of shutter speed settings from 1/1,000th of a second to 2 seconds before the filter is applied. Compatible with a LEE Filters Seven5 Micro System filter holder. 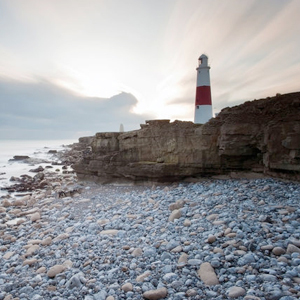 75 x 90mm neutral density filter darkens the image, allowing you to photograph with a longer shutter speed or wider aperture than normally required. Providing a 6-stop exposure reduction, this filter allows you to control depth of field and convey movement more easily. Filter does not affect coloration of the image and is appropriate for use with other filters. Attenuates infrared light as well as visible wavelengths, to maintain color neutrality and suppress color casts due to increased exposure times. Constructed from optical glass for clarity. 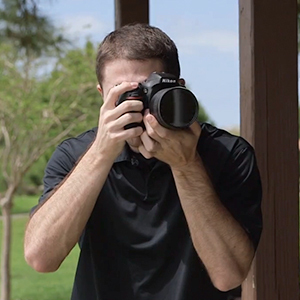 When combined with a LEE Filters Seven5 Micro System filter holder, built-in gasket helps to prevent light from coming in between the filter and the lens behind it, which can have an unwanted effect on exposure. Exposure guide for efficient use in the field. Padded pouch included for storage and transport. Box Dimensions (LxWxH) 5.3 x 5.0 x 0.7"